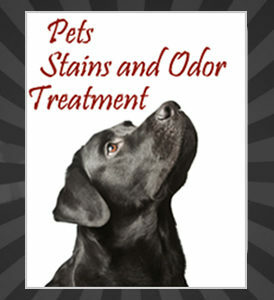 Does your Home, Factory or Office need a one-off spring cleaning service before the holiday or after the long winter? At Famous Cleaning, we are aware that no matter how regular you are with your daily cleaning routines, it is a very good practice to give your home or office space a nice thorough clean up at least once a year. What is a spring cleaning? Spring Cleaning means “Thorough Cleaning”. Although this could be very similar to an End of Tenancy Cleaning, but the actual difference is that the house or office is currently in use. That is, furniture and other such items are still present at the property, while with an end of lease clean all of these would have been previously removed. However, there are still a few things to keep in mind. Our cleaners are not allowed to remove, move, or rearrange furniture, objects, etc. and thus may not be able to clean an area that they otherwise could (e.g.the carpet area under the tv stand). For this reason, we recommend all our clients that request spring cleanings ensure that furniture and objects are arranged in such a way that creates minimal obstruction. Perhaps you are just looking for heavy duty cleaning or a more relevant deep cleaning of your property! Be it Post or Pre – Occupation cleaning, Famous Cleaning is the company to call. We specialize in all aspect of cleaning services – Moving in / Move out or End of Tenancy Cleaning, Post Renovation / Post Construction or After Builders Cleaning. Even in an Emergency where you require Deep Cleaning after some unfortunate incident like Fire, Flood or Leakage, we have experienced employees and the right tools for the job. If you need a thorough deep cleaning (Spring Cleaning) for your entire building or one specific area such as kitchen, living areas, bathrooms or bedrooms, give us a call and the chance to prove our wealth of experience. All our cleaners are thoroughly vetted and are professionally trained in the cleaning task they will be carrying out. We guarantee our jobs, if you are not entirely happy, we will return to clean again until you are happy. Included in these services, we supply all the necessary equipment and our own material to clean your property from Top to Bottom. If you require External Window Cleaning, Upholstery/ Mattress and Carpet Cleaning or Striping and Sealing of your Tile floor as additional services we can complete these within the same visit. 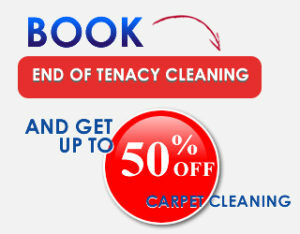 This is highly recommended for large houses or offices clean ups as it comes with a great discount when booked together with our Spring Cleaning Services. You can choose to have the whole house or office cleaned, or you may just want your kitchen or bathrooms cleaning, this is fine with us. We are very flexible and can adjust our prices to cover the areas that require the attention.